Behind every Super Hero is an inspiring story to be told. In Marvel Studios’ Black Panther, we’re thrilled to be bringing you amazing experiences in collaboration with Marvel Studios. Meet Black Panther and discover the ride worthy of Marvel Studios’ latest hero — the Lexus LC. 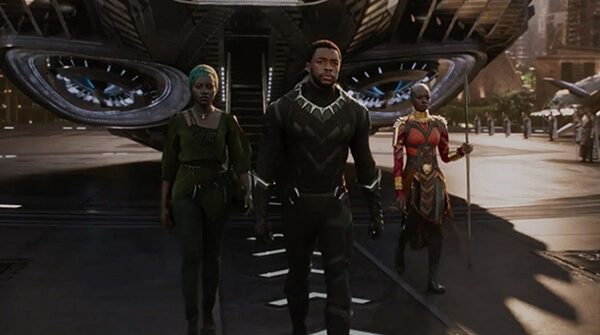 In Marvel Studios’ Black Panther, T’Challa, the king of the technologically advanced African nation, Wakanda, must prove his mettle when a powerful old enemy reappears. Against incredible odds, the young king must rally his allies and release the full power of Black Panther to stand victorious against his foes. Besides being an expert gymnast, T’Challa is also a master of various contemporary fighting styles. With his peak physical abilities, he’s more than able to hold his own against super villains who are a threat to his kingdom. T’Challa passed various tests to earn the title of “Black Panther” and become the leader of Wakanda. His strategic mind and heightened combat ability prove he’s just as much brain as he is brawn. With his vibranium-woven suit, Black Panther can absorb energy from physical impacts and release it in devastating attacks. It’s the perfect combination of offense and defense. The LC’s aggressive styling, high performance, and agile handling seamlessly complement Black Panther’s quick, cat-like reflexes and superhuman feats. Just like Black Panther, the Lexus LC is undoubtedly in a class of its own. The LC’s immense power and razor-sharp handling make it the perfect ride to push your drive to the limit. Crafted like a work of art, but engineered with track-ready performance, the LC is more than just your average luxury coupe. State-of-the-art technology is a given in the LC, with innovative features that are guaranteed to bring excitement to each journey. Explore more of the vehicle that embodies everything Lexus stands for.